Contest and Event Management: Easy-to-use online contest and event management tool anyone can use to run innovation events, jam sessions, competitions (such as an innovation Shark Tank), awards, prizes and promotions from start to finish. Plan short duration (3 to 15 days) events to find solutions that help your organization better identify business transformation opportunities. Engagement: Manage communities and campaigns using simple admin dashboards. Automate recurring activities to maximize time spent on innovation and experimentation. Simple task management system designed to make innovation a part of every user’s regular work. Standard or advanced gamification system and techniques. Engagement system configured based on your requirements, investment, and reward systems. Collaboration: Human beings thrive on collaboration and are prepared to cooperate with strangers, over long distances and incompatible time zones, even overcoming obstacles of language and culture. Planbox Innovate’s powerful collaboration platform taps into this deeply wired capacity for cooperation to empower your employees and community to create shared solutions to complex challenges. 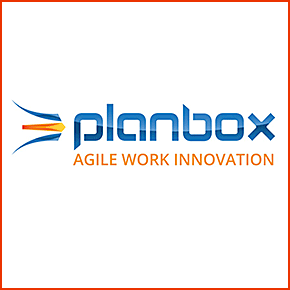 Platform: Planbox Innovate’s on-demand world class innovation management platform serves as the system of record for managing your ideas, feedback, suggestions, challenges, communities and solutions. Adaptive event-based rule engine drives idea development based on your rules and requirements with zero customization. Integration with reward and project management systems provides you with an end to end, fully plugged in, best of breed innovation management system. Planbox Innovation Management API is a comprehensive set of Web Services with a role-based security architecture. Planbox Innovate is built on the same API used by our integration connectors and clients. Analytics: Innovation analytics is an integral part of Planbox Innovate’s innovation management life cycle. Make smarter decisions and optimize your return on innovation investment with actionable analytics. Configurable dashboards built on a comprehensive reporting platform. Track and report on the metrics and trends that matter to your innovation program. “Connect the dots” technology allows you to identify and develop the best ideas and suggestions.